An efficient method for the synthesis of 4-tosyl-5-aryloxazoles directly from aromatic carboxylic acids has been reported. The method involves the conversion of aromatic carboxylic acids to tosyl carboxylates by treating with tosyl chloride in the presence of potassium carbonate and its subsequent reaction with tosylmethyl isocyanide in the presence of sodium hydride to get 4-tosyl-5-aryloxazoles. 4, 5 di-substituted oxazoles were synthesized via an efficient method directly from aromatic carboxylic acids. The presented method involves the conversion of aromatic carboxylic acids to tosyl carboxylates by treating with tosyl chloride in the presence of potassium carbonate and its subsequent reaction with tosylmethyl isocyanide in the presence of sodium hydride yielding 4-tosyl-5-aryloxazoles. The online version of this article ( https://doi.org/10.1007/s12039-018-1540-2) contains supplementary material, which is available to authorized users. Crystallographic data for the compound 3m reported in this paper had been deposited in the Cambridge Crystallographic Data Centre with ccdc reference number: 1833176. These data can be obtained free of charge from Cambridge Crystallographic Data Centre via www.ccdc.cam.ac.uk/getstructures. 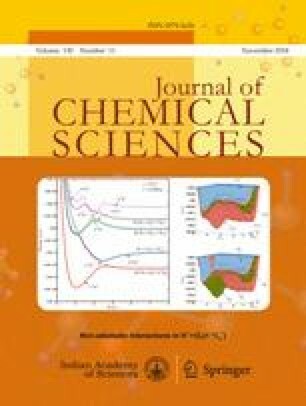 Supplementary Information containing general information, experimental details and characterization data of all the synthesized compounds is available at www.ias.ac.in/chemsci. MPS thanks UGC-SAP DRS III (Grant No. UGC F-540/10/DRS-III (SAP-I) Dated 14-09-2016). Authors are grateful to Institution of Excellence, University of Mysore, Mysuru for spectral analysis. N. Rajeev thanks UGC, New Delhi for providing RGNF.